This is the ultimate decorative piece for any Fairy themed parties. 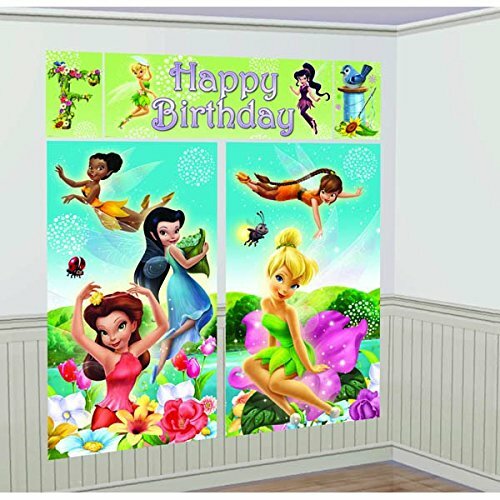 Turn any boring room in to an awesome and adorable fairy party room with our Disney Tinker bell Scene Setters. The package includes 2 main backdrops and several side accent banners and cut outs that will turn your party room in to a flower field with flying fairies; Takes your Tinker bell themed party to the next level.